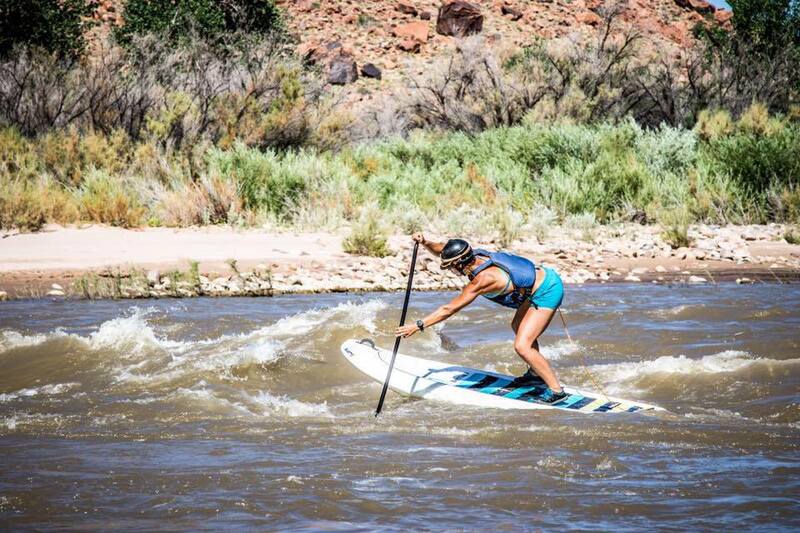 Natali is a whitewater stand up paddle athlete from Moab, Utah. She is a Desert Girl at heart, and has always been passionate about guiding and training. Teaching and leading others’ toward health and wellness is Natali’s calling. She also loves to entertain. She believes that music has the capacity to enlighten our minds and inspire our souls. Her mantra is to “inspiral” change towards living a life of optimal health and wellness. She has a full house when it comes to certifications, including Yoga, Stand-up Paddleboarding, Personal Training, & River Guiding. Yoga, Nutrition, Exercise, Music, and Watersports are her cornerstones for staying healthy- physically, mentally, emotionally, and spiritually. Natali spends most of her year traveling around in her sprinter van training as an athlete, hosting clinics for her business Rvr2Rvr, and attending some of the best whitewater/flatwater races in the United States. She has a passion for adventure and travel, and hopes to seek out, experience, and share her story of the most incredible and breathtaking views of the world.